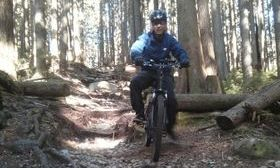 Located in Vancouver BC, we are your online source for electric fat bikes and electric mountain bikes. We have customers across Canada from Vancouver, Calgary, Edmonton, Saskatoon, to Toronto and Quebec, also in the USA from San Francisco to New York. 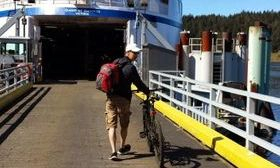 PR Industries promotes a lifestyle of getting out there to enjoy life, offering transportation solutions that are practical, affordable and fun. Our exciting line of eRanger bikes is uniquely valued and style conscious, offering exceptional performance in a handsome package. We've packed as much as we could into our electric bikes at a price to let everyone experience the joy, freedom and convenience electric bikes have to offer. Our eRanger bikes are proundly built in Vancouver by people who ride E bikes, for people who ride E bikes. Our eRanger models are sleek bicycles in one of the smallest, most lightweight packages on the market today; ideal for commuting or riding around town and even on trails.Take a ride down to the beach or up into the mountains on our comfortable, fun to ride bikes and watch the hills disappear behind you. Our eRanger Electric Bikes can give you the freedom and fun to be a kid again! Learn more about our eRanger series electric bikes by checking out our videos, reading testimonials and exploring our Facebook and Instagram page. Browse this website to purchase electric bikes directly from us at incredibly low prices. And most importantly, enjoy the ride!